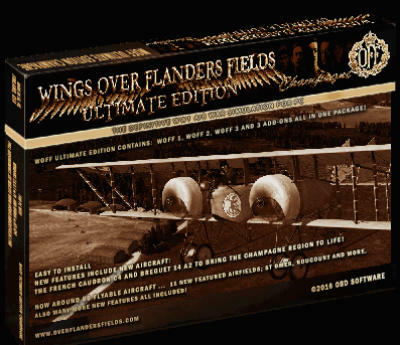 The Ultimate Edition of what many are now saying is the most immersive World War One flight simulator available. Around 80 flyable authentic WW1 aircraft, and a truly amazing dynamic campaign, superb AI and much more. Printed DVD, in a DVD case with printed sleeve. Also has a digital download for convenience. For PC. Important notes: 1) Please see the WOFF UE Support page for full requirements before purchase, and see the WOFF UE Product page for more details. 2) After installing WOFF UE, please download the latest update 4.18 from the downloads page and install it. This will allow you to enter your order number when first asked to register WOFF UE! 3) Note the DVD plus Digital Download is still only for 1 user license total. 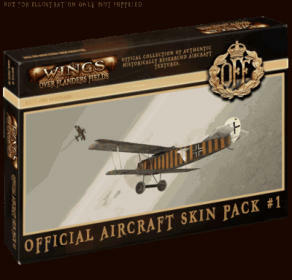 Albatros D.III OAW skins for WOFF UE. Adds dozens of remastered skins for the Albatros D.III OAW aircraft, and a few for the D.III and D.III Early. Note copyright remains with OBD software, only licensed for use with Wings Over Flanders Fields Ultimate Edition (WOFF UE). Designed for WOFF UE aircraft only. Extra Aircraft Textures/Skins (Squad and Ace) for WOFF UE. Adds 1000s of extra OBD’s authentic historically researched and created skins for use in WOFF UE or previous WOFF versions. Free Download for WOFF UE users. See product page for details. Note copyright remains with OBD software, only licensed for use with WOFF Designed for WOFF UE aircraft. 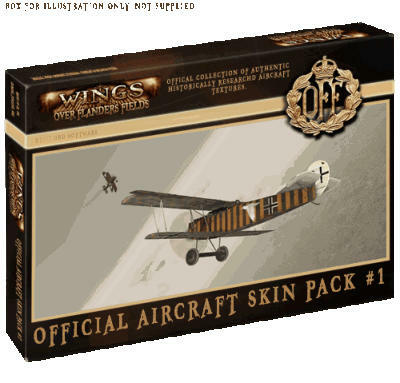 Superb value with 6 WW1 packages rolled into one, with around 80 flyable aircraft in a new all-in-one installer, plus new content! combat flight simulator available. Around 80 flyable authentic WW1 aircraft included from the start, and a truly amazing dynamic campaign, the best WW1 AI (artificial intelligence) available and much more - it all puts YOU into the Great Air War more than any other flight simulator. 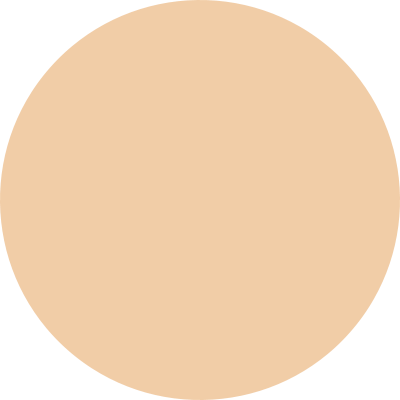 included in our WW1 simulator. ADDS EXTRA MUSIC TRACKS INTO YOUR WOFF UE INSTALLATION. Free Download for WOFF UE users. These were removed from the main release installer to make space for all the content. See product page for details. Note copyright remains with OBD software and Matt Milne. Only licensed for use with WOFF. * plus taxes if applicable. After install, remember to install any available update from the WOTR downloads page. Important notes: Please see the WOTR Support page and WOTR FAQ for Requirements! OBD Software is proud to bring you their trademark immersive single player combat flight simulation experience - now for World War Two! OBD Software is proud to bring you their trademark immersive single player combat flight simulation experience - now for World War Two! Leading on from “WOFF” our immersive WW1 combat flight simulator, WINGS OVER THE REICH (known as ‘WOTR’) brings all this and more : . : OBD’s Unique Dynamic Campaign Engine specially designed for WW2. Newly designed dynamic campaign system covering the 5 main phases of the Battle of Britain from 10th July to 31st October 1940. Enlist in one of: 36 British Squadrons - including the famous RAF 303 Polish Squadron 22 German Squadrons . : Detailed Player Flyable Aircraft: Hawker Hurricane MKI (Late) Messerschmitt Bf109 ‘Emil’ E4 Both complete with fully immersive detailed cockpits. .: Detailed AI only aircraft: Spitfire MKIa Junkers Ju88 A1 Junkers Ju87 B1 Messerschmitt Bf 110 C4 Dornier Do17 Z2 Heinkel He111 H2 . : Quick Combat Set up mini battles to test your mettle. Quickly save setup missions as Quick Scenarios. .: Quick Scenarios Jump in more detailed pre set missions without playing in campaign, or fly your own made via QC . : Superb Artificial Intelligence "AI" WOTR brings a thrilling WW2 experience using our superb AI technology - improved for the demands of WW2. The AI is based on competent AI features seen in WOFF . : Superb Scenery and Scenery Objects Improved scenery for WW2 England and France. Seasonal terrain including several variations for winter (including several snow types) . : WW2 Damage systems More detailed damage systems, partial / full damage to various parts such as ailerons, elevators, wings, fuselage panels and so on. .: Full Original WOTR Music Score by MATT MILNE! A brand new full score written specially for WOTR containing 16 superb tracks to get you into the mood! Matt also wrote the highly praised haunting musical scores in the WOFF series of flight simulators. NOW ONLY $29.99* * plus taxes if applicable. Sales of the music go directly to support the artist via Google Play, iTunes or others so please give your support. OBD have no responsibility for purchases of music on sites such as Google Play or iTunes. Please contact the individual sellers directly for music purchase questions or issues that may arise. Available both to stream and as digital download. Click one of the buttons above. Also available on Spotify, Amazon.com and Deezer. dynamic campaign, AI and much more. Digital Download only. For PC. when first asked to register WOFF UE! now for World War Two!
. : OBD’s Unique Dynamic Campaign Engine re-designed for WW2. Newly designed dynamic campaign system covering the 5 main phases of the Battle of Britain from 10th July to 31st October 1940. Enlist in one of: 36 British Squadrons - including the famous RAF 303 Polish Squadron 22 German Squadrons . : Detailed Player Flyable Aircraft: Hawker Hurricane MKI (Late) Messerschmitt Bf109 ‘Emil’ Both complete with fully immersive highly detailed cockpits. .: Detailed AI only aircraft: Spitfire MKIa Junkers Ju88 A1 Junkers Ju87 B1 Messerschmitt Bf 110 C4 Dornier Do17 Z2 Heinkel He111 H2 . : Quick Combat Set up mini battles to test your mettle. Quickly save setup missions as Quick Scenarios. .: Quick Scenarios Jump in more detailed pre set missions without playing in campaign, or fly your own made via QC, or other missions . : Superb Artificial Intelligence "AI" WOTR brings a thrilling WW2 experience using our superb AI technology - improved for the demands of WW2. The AI is based on competent AI features seen in WOFF . : Superb Scenery and Scenery Objects Improved scenery for WW2 England and France. .: WW2 Damage systems More detailed damage systems, partial / full damage to various parts such as ailerons, elevators, wings, fuselage panels and so on. .: Full Original WOTR Music Score by MATT MILNE! A brand new full score written specially for WOTR containing 16 superb tracks to get you into the mood! 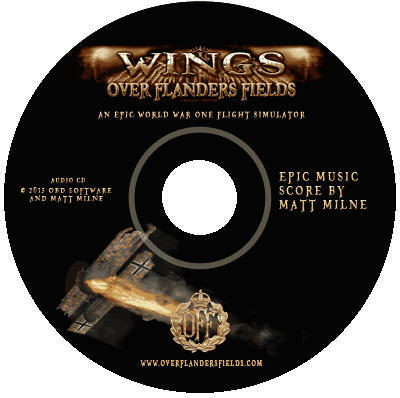 Matt also wrote the highly praised haunting musical scores in the WOFF series of flight simulators.